The articles listed below are clickable links. 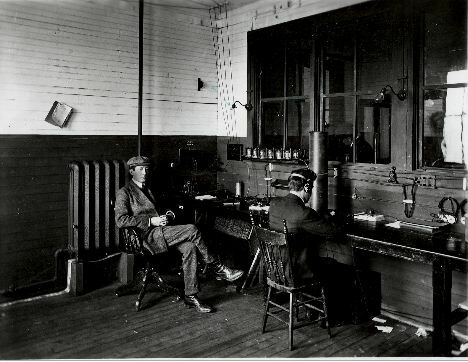 The transatlantic wireless telegraph service opens on October 17, 1907. James Holmes receives messages at Glace Bay, Nova Scotia, while Marconi looks on.